Enter Willowbrook to be greeted by baseball fields, a playground, tennis courts and a kids fishing pond and it's obvious that this is a family neighborhood. 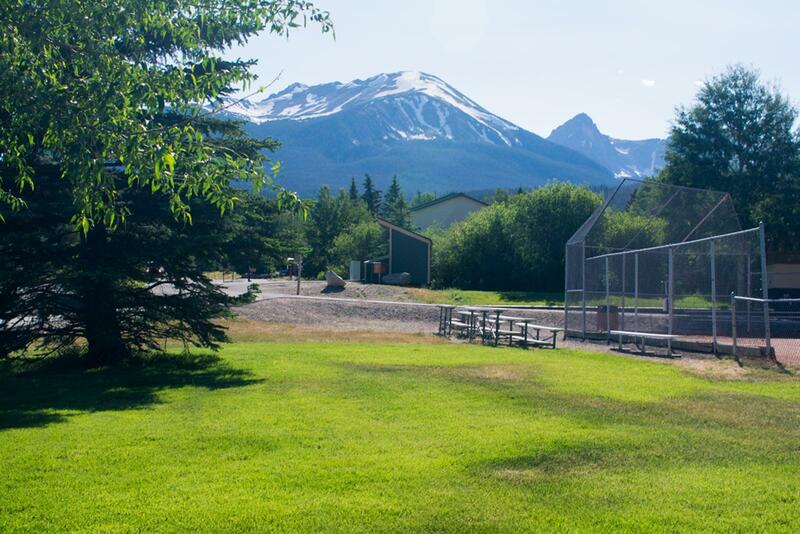 This entrance off Blue River Parkway (Highway 9) into the small, but dense single-family neighborhood is less than two miles north of the center of Silverthorne and a few tenths beyond town are the on-ramps for I-70. A trip to Denver takes less than a hour. 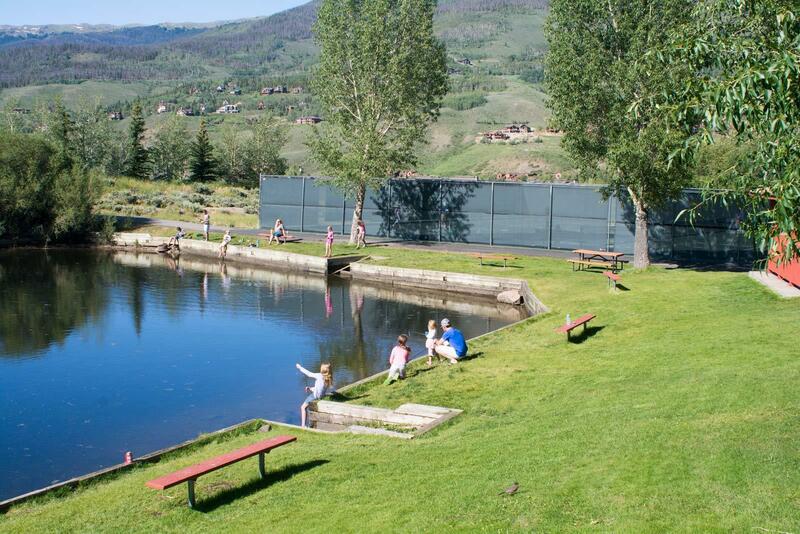 There are no grocery stores on this side of I-70 except SuperTarget, but Silverthorne is diverse: a new cultural and performing arts center opened in 2017 - a fishing guide was the first occupant of the town center - and the Murdoch's Ranch store sits next to a design center. Silverthorne Elementary is the nearest elementary school to Willowbrook and the newest one in the Summit County school district. Located on the other side, the east side, of the highway, it is less than 1/2 mile away. A paved bike path along the east edge of Willowbrook along the Blue River extend to this school and to the center of town. Willowbrook - full subdivision name is Willowbrook Meadows - is classic suburban: split-level homes of similar styles face one of its looping streets. Driveways lead from the street to prominent garage doors overshadowing the front one. The side streets are wide, paved and not burdened by a sidewalk. The free Summit Stage bus services Willowbrook, and a sidewalk and bike path on the main street through the neighborhood, Willowbrook Road, leads to the bus shelter near the park at the entrance. From Willowbrook one can see as far as Baldy Mountain on the south side of Summit County and the ski runs of Keystone. The bus will take you there for free if you don't want to drive in the winter and deal with parking. 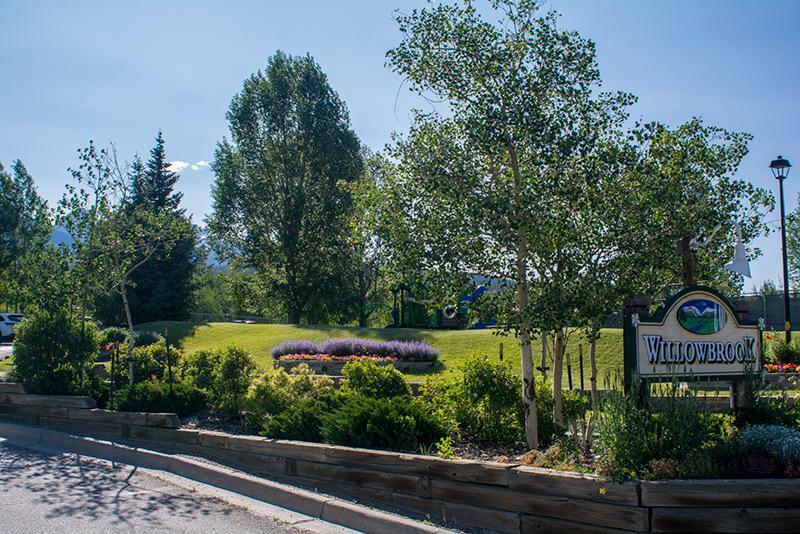 Willowbrook is a relatively flat subdivision, great streets for kids to play on, to learn to ride a bike, and play in the creek that runs along the northern boundary. Traveling up Willowbrook Road to the west leads to national forest and quickly from there into the Eagle's Nest Wilderness. Between Willowbrook and public lands sits the newer neighborhood, Willow Creek Highlands. This is a newer neighborhood of larger single family homes, on more circular roads and steeper lots. The northern border of both of these is the Eagle's Nest neighborhood that contains the Ravens Golf Club. 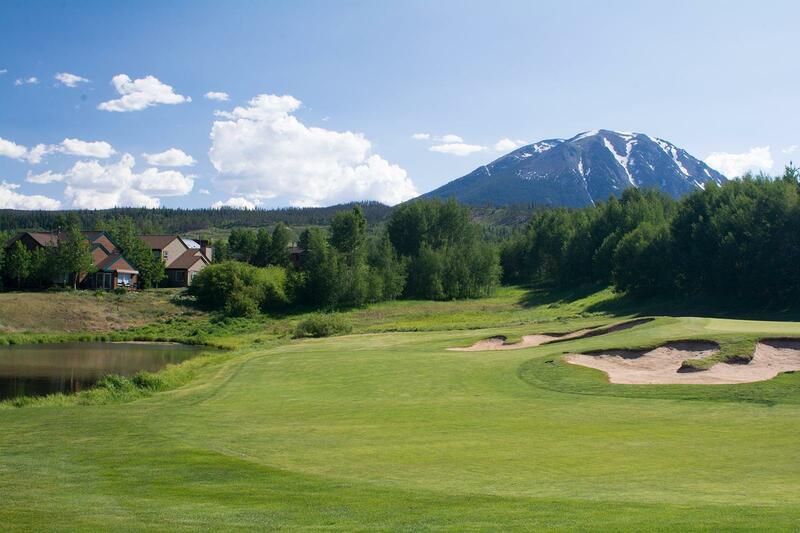 Views to Buffalo Mountain are spectacular from Willow Creek Highlands. Pictured is the view from the Ravens Golf Course to Willowbrook and the trees hiding Willow Creek Highlands. Daytime parking is allowed at a lot at the end of Willowbrook Road and not far down the trail is the wilderness boundary where dogs must be leashed, and no mechanized or motorize vehicles are permitted. If you're a homeowner this is a good thing - no ATV trailers or cars parked for days. This isn't the place to leave your car for an overnight backpack, but there are other trail entrances where this is possible. Head north on Highway 9, Blue River Parkway, and turn left after 1.9 miles less than 2 miles on Willowbrook Road. You'll see the sign and the park on your right. You have arrived in Willowbrook.